A physically active body must achieve a stable balance around each active joint for top performance. Ligaments connect the bones to each other, and provide much of the joint's stability. Muscles are connected to bone by tendons, allowing for movement at the joints. Although the ligaments connecting the bones in the ankle are necessary for proper function, there are several muscles that also help support the ankle during any type of activity. Building strength and proprioception, or special awareness, in these muscles helps to prevent injury and improve performance. Why is it important to keep the ankle strong? When an athlete performs any movement—whether running or jumping—the ankle and surrounding muscles are put under a great deal of stress. If the ankle musculature is strong, the athlete can withstand greater force before an injury is sustained. 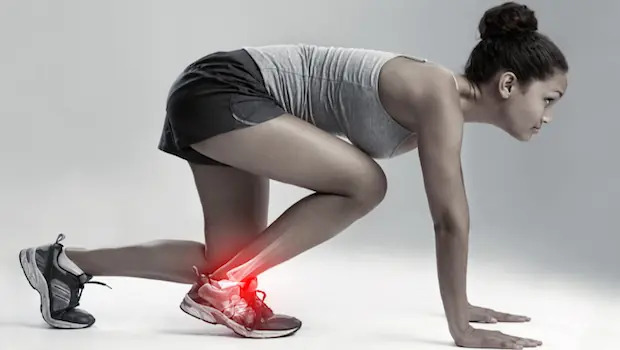 In addition to decreasing ankle injuries, strengthening lower leg muscles will help prevent chronic conditions such as shin splints and Achilles tendonitis. Proprioception is the body's ability to realize its place in space. If an athlete is moving into a position that could sprain his or her ankle, increased proprioception can decrease the risk by alerting the athlete to the danger. Proprioception can also increase an athlete's performance. An athlete with superior balance and awareness will be able to control his or her body more effectively. This is especially true in sports like basketball and soccer, but valuable in all sports or training. Proprioceptive training is done with balance exercises.